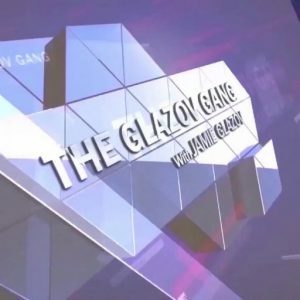 Facebook has banned Frontpage Editor and Glazov Gang host Jamie Glazov for seven days. 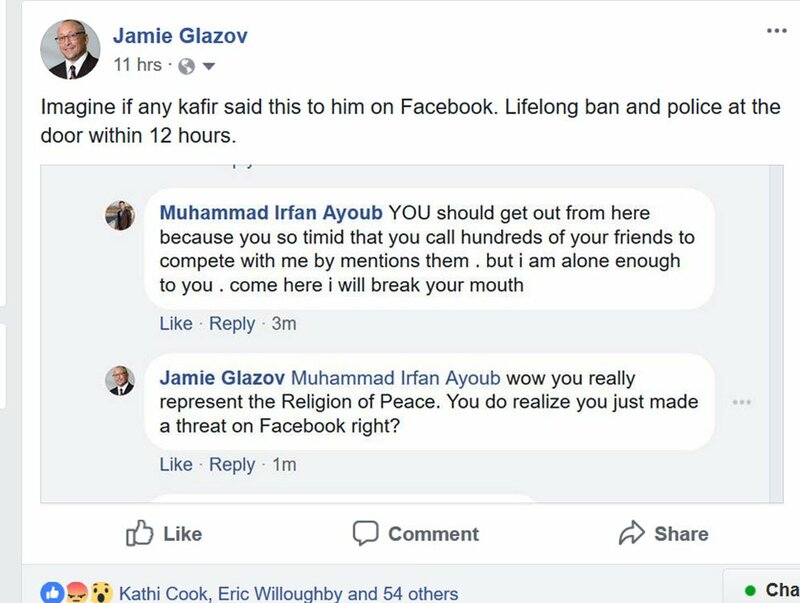 Jamie’s crime is posting/reporting on his Facebook page a physical threat that was made to him personally on his FB page by a member of the Religion of Peace. 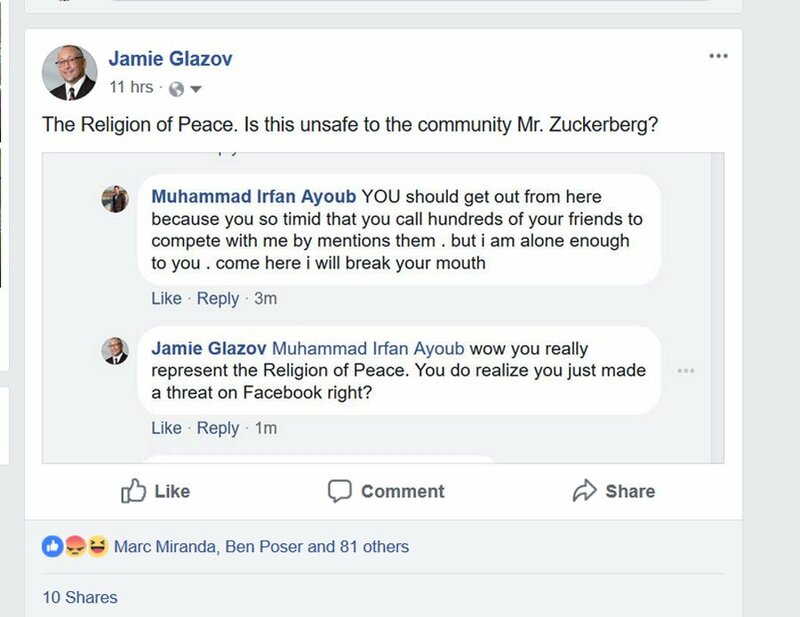 Jamie then made two posts about this threat, showing the screenshot of it and (1) asking Mark Zuckerberg if Ayoub’s threat is unsafe to the community and (2) pointing out that if a kafir (Islam’s secret dirty word for the unbeliever) said this to Ayoub on Facebook that there would be a lifelong ban and police would be at the kafir’s door within 12 hours. 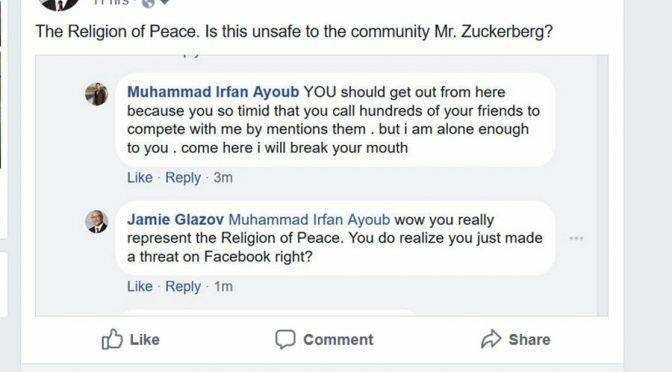 The next day, on Sunday, April 15, 2018, Facebook notified Jamie that he was now being punished with a seven day ban for the post he made asking Mr. Zuckerberg about whether or not Ayoub’s threat is unsafe to the FB community. Facebook has not responded to Jamie and the ban remains in place. 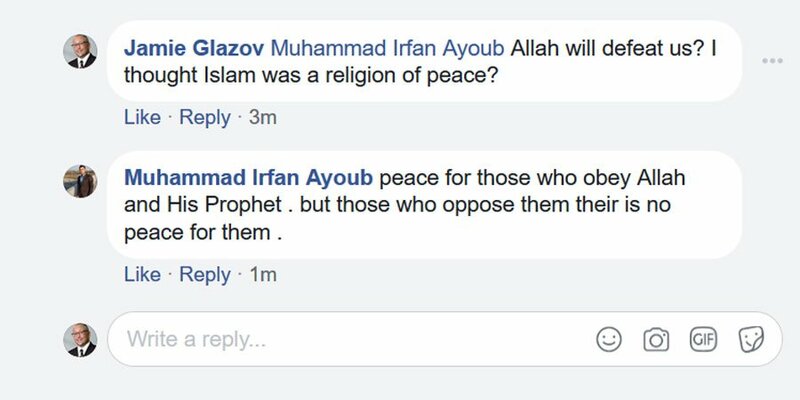 It is now obvious what the rule is at Facebook: If a member of the Religion of Peace threatens to break a kafir’s mouth, that is safe for the FB community and the kafir obviously deserves the threat because he is violating Islamic blasphemy laws in some way. And the kafir must be punished if he reports or complains about the threat. But if a kafir physically threatens a Muslim, then that is a completely different matter. That for sure is unsafe for the FB community and the kafir obviously needs to be punished. The thread on which all of this occurred is a video post by Jamie of human rights activist Anni Cyrus telling her personal story of being a child bride under Sharia in Iran — and how she was able to escape the barbarities of Sharia. Anni discusses how little girls are being literally sold every day into sexual slavery under Islamic law. See the video post and discussion thread HERE before Facebook might take it down. 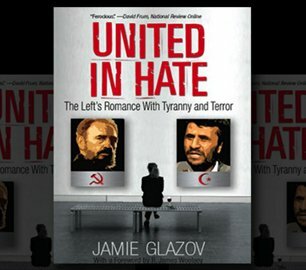 We request that everyone who cares about free speech and who is concerned about Facebook’s surrender to Islamic blasphemy laws, to protest this shameful and shameless banning of Jamie Glazov and also Facebook’s overall persecution of truth-tellers about the totalitarian and terrorist threat our civilization is facing. Please share this article and this news everywhere, write to Facebook, to protest its banning of Jamie and its surrender to Sharia, and encourage everyone to do the same. FB has become a total screw up. They censor conservatives, protect islamic viewpoints, and track people who don’t even have a FB account. FB should now be called BB: big brother. Jamie, you know you’re doing something right when FB bans you!! Carry on as usual and wear the badge with pride!! I certainly hope that you’ll soon be able lift the curse of that little POS camel jockey!! Facebook is SO annoying!! Maybe if the muzzies targeted ZuckerFxxk’s trust fund kid Marc might change his tune. But don’t count on it ! Only a week? I’m banned for a month for writing “Muhammed was a bloodthirsty warlord”. 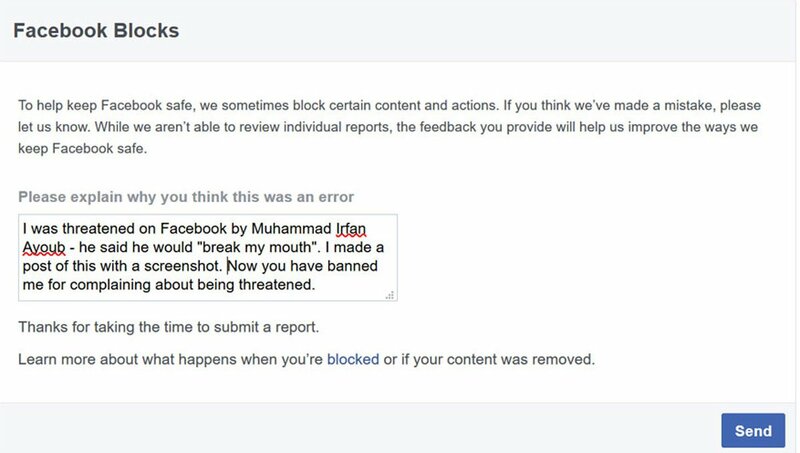 Muslims are reporting us to Facebook and it appears Zuckerburg has HIRED Muslims to ban us!! The woman’s name was a musleema that “reviewed” my protest for my ban. So what to do? I wrote Senator Cruz, my Virginia Senators Mark Warner and Jihad Senator Tim Kaine ans my Congressman Wittman. I also sent in Dr Bill Warner’s booklets on islam to them all. So let’s do a MASS write in to your senators, Cingressmen And Senator Cruz supporting his questioning Zuckerman again! Even Diamond &Silk are Banned. I am a writer of WWII biography and I am banned. This is no accident!! Fb is hiring Muslims to screen us! I have just been banned for 30 days for saying that trudeau is a lying sack of poop!! Not sure how much longer I am going to stay on that piece of crap site. That is hilarious! I have heard him being called way worse names than that! DUMP FB. It ius a 14 yr old brat that needs to be taught a lesson, and used as a lesson for us all not to be duped by influential sources. Try Gab.ai, Minds.com and others who protect free speech! 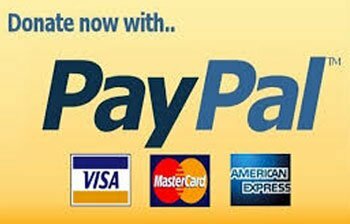 I found that mewe.com is open to conservatives. 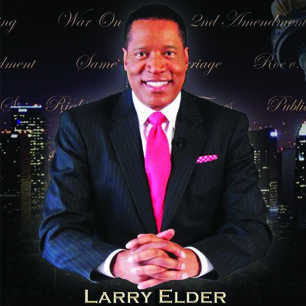 Watching a very revealing show on fox Sunday night, Life, Liberty and Mark Levin. It was a consensus that Conservative voices, need a social media that is open to the (truth) voices that FB shuts down. Mr. Zuckerberg cares more about number of Facebook subscribers. There are 1.6 billion Muslims in the world. Free speech doesn’t apply to FB. Despite being a Jew he has only Jewish last name, nothing else. Mr Zuckerberg is a terrorist and ought to be treated as such. Well FB takes the cake for down right dumbness. I stopped using them long ago. No worries Jamie. Keeping doing good! Facebook. Never had it, never will. What little family I have i have told to never mention me on their Facebook pages in any way shape or form………for all the good that will do. It’s not just Mr. Zuckerberg. It’s a strong, secret organization going after its plan. 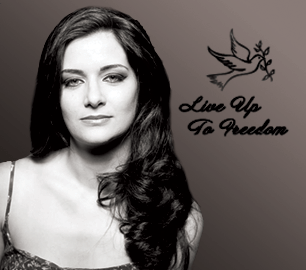 Little by little, freedom is lost. A mob of ignorant “liberals” bully everyone into silence, preventing them from pointing at the hate which must not be criticised and accusing them of hate for doing so. We seem to have bred a generation of nincompoops who are so dim that they deserve to live under Islam, but they must not be allowed to drag the rest of us down with them. LOL. I got banned for 7 days for posting this photo to my page, “This Is The Left” , a left-watch page. Cannot say that I am surprised. I watch America from another continent where socialism, communism and Islam, the latter presently a small minority not too visibly politically dominant but fast growing as a result of a combination of high birth rates and immigration, both legal and illegal. I can see the enclaves growing in our city and in other major canters of the country. It seems that most locals are oblivious to this gathering wolf packs. 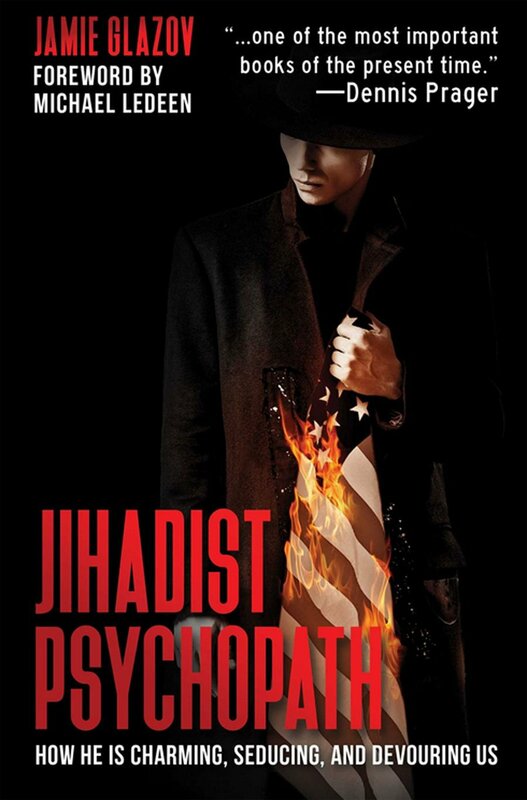 I do know however, that if the US falls, we will all fall like flies to tyranny – be it Communist or Islamist.